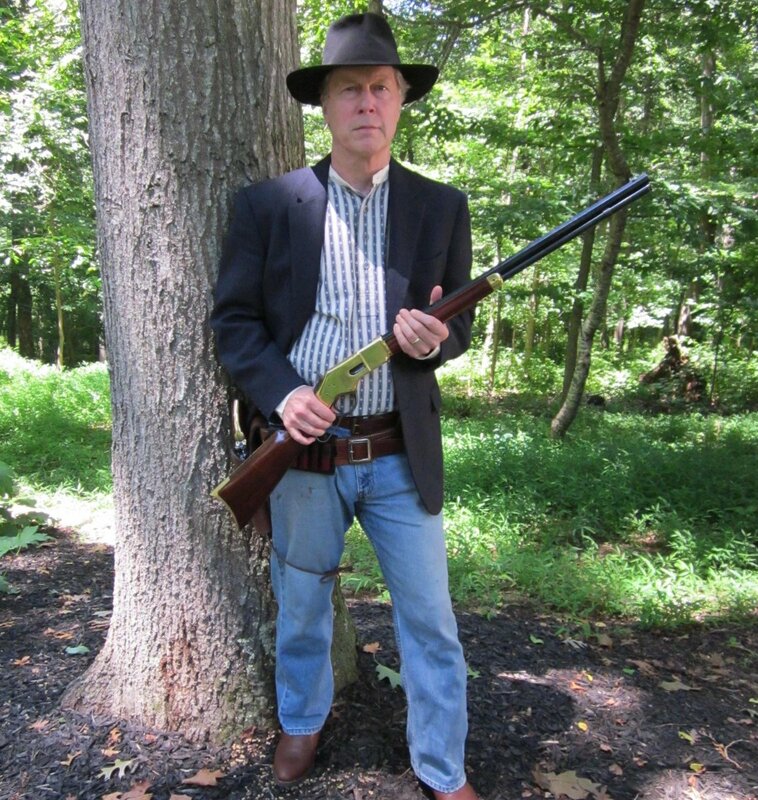 Civil War history, reenacting, 19th Century weapons, Cowboy Action Shooting, Tennis & Golf. Lumpy Gritz, Is 4.0 your load? I want enough power so I don't get any squib rounds. Most CA shooters don't wrap their thumb around the stock of the rifle. In time you may want to try to learn this technique. When I first started, (which wasn't that long ago) I wrapped. An experienced shooter in my local club taught me to keep the thumb down on the side of the receiver. It takes a while to get used to this, because most of us by learning or instinct wrap the thumb around the stock. But, it can be done. It can shave a second or two off of your rifle time. When you get good enough to compete with the really good shooters, any time saved is a big deal. Happy shooting. I bought one of the new Marlin's 1894CB several months ago. .357/.38. 20 inch barrel, no checkering. Compared to my Codymatic 73, I thought it was stiff and crunchy out of the box. It was real hard to load the 9th and 10th cartridges in the magazine. Got the Marlin light spring kit and changed out all the springs, bent the lever safety spring the way Billy the Avenger explains on his YouTube video to lighten it. I also cut off about 3 inches of the mag tube spring. And, I took the gun completely apart and sanded with #6 sandpaper all the internal parts that move against each other. Then, rubbed all parts down and lightly oiled them and put the gun back together. Now, it feels nice and smooth and fast. One feature that like is that the rifle will cycle different size cartridges. I am loading a 125 grain Hi-Tek bullet with 4.5 grains of Unique powder. The OAL is 1.5 inches. These work great. Like Deuce said, I have some .38 special snap caps which are only 1.42 inches long. They cycle fine too. Same for me. "Hardness Optimized". Scrub Oak Willie in Tennessee, 423-881-5685, makes a socket head magazine tube plug for the Uberti 66 and 73 rifles. I got one. Much easier to take off with an allen wrench. Fired cartridge high primer pistol jam? I had a similar issue a few weeks ago. On my second pistol (a New Model Vaquero), on my last shot a got a misfire. I kept cocking the hammer and firing until the cylinder came around, but still no bang. Handed the gun off to the timing officer. When I unloaded, the unfired round did not have a dent in the primer. What? I can't explain that. When I got home and cleaned the gun, I loaded some snap caps in and the cylinder turned in the normal manner. I also put in a sized, case with only a primer in and shot it and the primer did fire. So, I'm at a loss. Can anyone venture an opinion on what happed to my cartridge/gun? Planning on coming. See you there. Chocolate cream pie for me. My Wife had coconut custard pie. I haven't given up on my 66 and 73. Plan on shooting all. Will take turns or rotate in some manner. 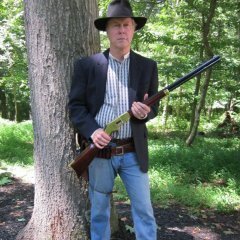 I also bought the Marlin 1894 Cowboy a few weeks ago. Mine is .357/.38. I have discussed some of the issues in a previous post. Mine was manufactured in late 2018. The action was pretty stiff out of the box, so I got the Marling Spring kit and put in a lighter hammer spring, lever plunger spring and I lightened the lever safety spring. I also installed the 1 piece firing pin. Now, it runs nice and smooth. I've shot it at the range a few times. Feels good. I'll be shooting it at a match on 3/12 in Fairfax, VA with the Virginia City Marshals. Lawyer Mays here. I agree with Pat's analysis. The time would not run until when you took possession, 2pm on 2/28. You should have until 3/3 at 1:59pm. Could you post some photos please.